I love these Mason Jar candles SO MUCH! How can I not? Aren’t they completely lovely? Sadly, since I first posted these amazon candles, it appears the Backwoods Charm website (the original creator) is no longer live. Breaks my heart that we can’t pop over there and buy them now, but I’ll cross my fingers they’ll come back soon. Buying the jars is easy. You can get those lots of places – find out more here. 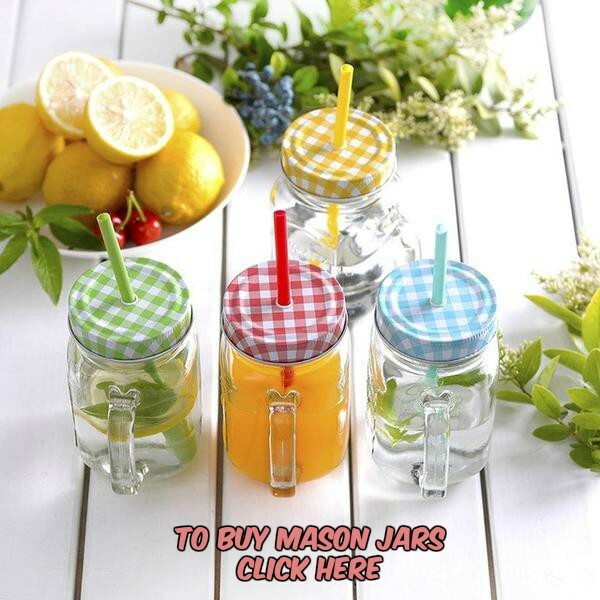 From Amazon, you might try some of these to decorate the outside of the jars. 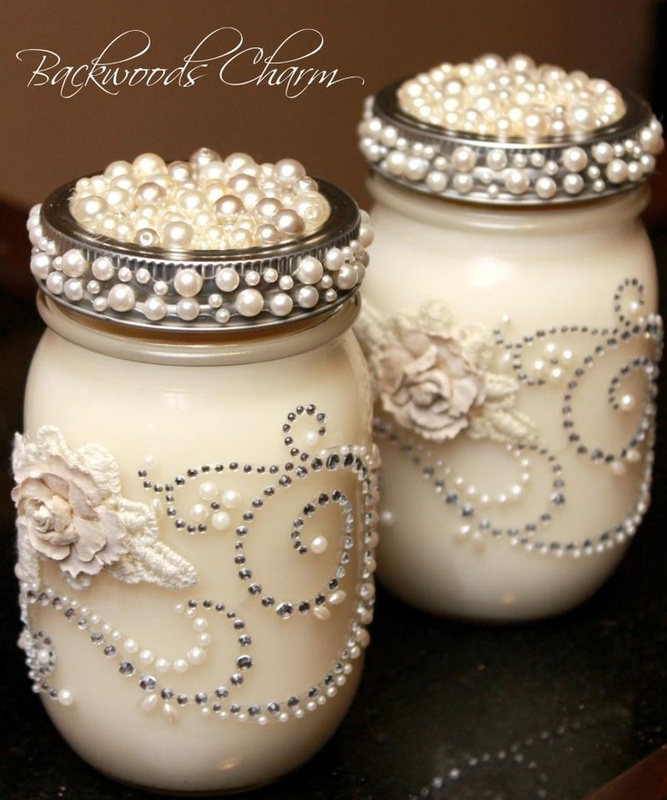 These pearls are self-adhesive, so you can just stick them right on the jar itself. I’ve used these adhesive embellishments for lots of projects, so they’d likely be perfect to use on your Mason Jars. Please let me know if you make your own beautiful version of these Mason Jar candles. I’d love to see them! They’d be so perfect for weddings! If you loved this Mason Jar candle for a wedding, check out these ideas for a Mason Jar themed wedding.